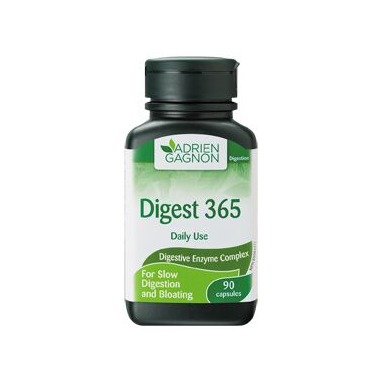 Adrien Gagnon Digest 365 helps facilitate digestion and prevent symptoms associated with slow/poor digetsion such as bloating, flatulence and abdominal cramps. Consult a healthcare practitioner prior to use if you have pancreatic insufficiency. Adults: Take one capsule before each meal. 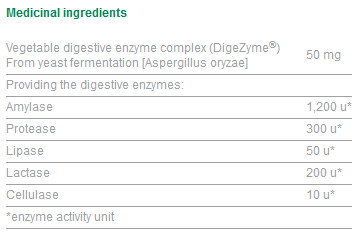 This is the best digestive remedy I have come across this far. I am so glad I found it! I have been using these for 2-3 weeks now for bloating and slow digestion. I have not seen any improvement. Too bad I really wanted it to work..
LOVE THIS PRODUCT!!! It helped so much with my digestion and bloating. Everyone should take it ! !